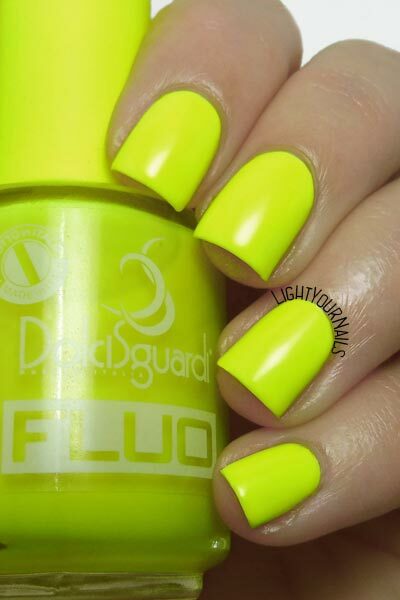 Dolci Sguardi Fluo | Light Your Nails! I am starting the week-end wearing a manicure that won’t go unnoticed for sure. 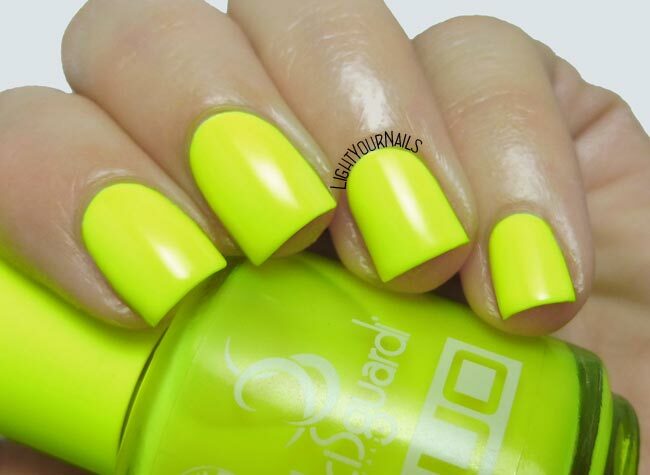 I picked a neon yellow nail polish! Dolci Sguardi is a cheap Italian brand, not even drugstore I’d say. I was in need of a good neon yellow and when I saw their Fluo collection I decided to give it a go. Same as many neon nail polishes the label states it’s for artificial nails only. That has never stopped me but I am always using a white nail polish underneath. 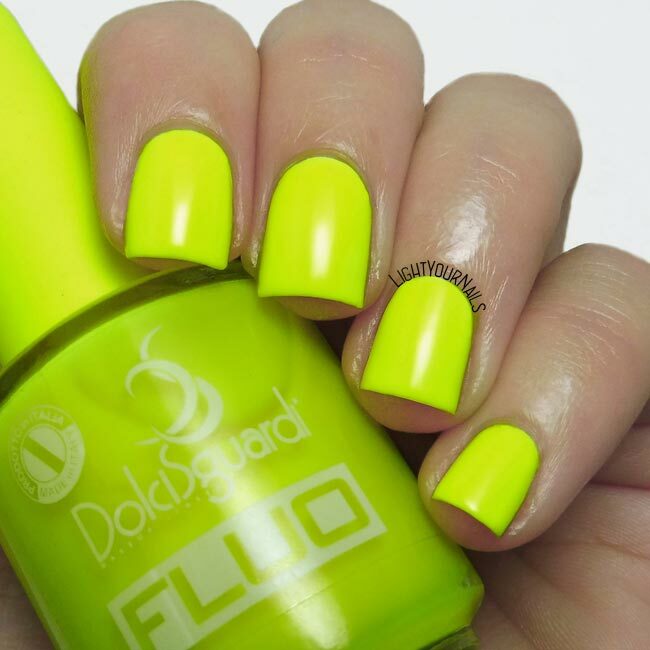 Dolci Sguardi Fluo is a highlighter yellow which doesn’t lean green. Application is very easy and the colour is even at first coat already. Drying time is quick and it dries matte which is common with neons. Photos: two coats over white + top coat. I have already used some Dolci Sguardi nail polish in the past and I’ve always been happy with them. This shade is good quality and looks good once again, plus the price is so good (less than 3€). I am sure I’ll purchase more by them! Do you like neon nails? And what’s your favourite (neon) colour? This is gorgeous! I love that shade that is borderline lime and lemon. Love that color! Looks like a great find! Non ho mai trovato questo marchio in giro, ci farò più caso! Hai provato a stenderlo su uno smalto bianco Emanuela? Ho un arancio fluo di Wycon che è stato il mio preferito per tantissimo tempo.